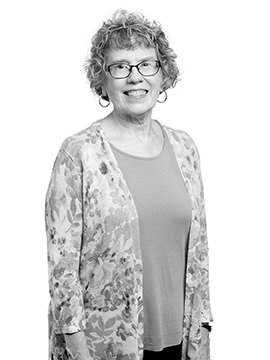 Bridget May, Professor Emerita of Marymount University in Arlington, Virginia, taught interior design at several universities for more than 30 years before she retired in 2016. At Marymount, she taught graduate and undergraduate interior design history and research, and directed and served on many interior design thesis committees. She served as interior design department chair and directed the interior design graduate programs. Dr. May has published and presented nationally and internationally on various topics related to interior design history. She co-authored three textbooks on architecture and interior design history, all of which have received the ASID Education Foundation/Joel Polsky Award. Grants include one for a furnishings plan for Shadows-on-the Teche, New Iberia, LA, a National Trust Historic property, IDEC Special Projects Grant for Research for two pre-conference history symposiums and several Faculty Development Grants from Marymount University. Honors include the ASID Washington Metro Chapter Educator Medalist award; IDEC Members’ Choice Award for Best Paper; and induction into the Historic Preservation Honor Society, Sigma Pi Kappa, Alpha Chapter; she also was awarded a Benno M. Forman Fellowship for Research in American Material Culture at Winterthur Museum, Wilmington, DE. Dr. May served two terms as an Associate Editor for the Journal of Interior Design and guest edited two special issues on history of Interior Design. In 2012, Dr. May was made a Fellow of the Interior Design Educators Council. Her service to IDEC includes Collaborative Coordinator for the Teaching Collaborative; Coordinator of the Teaching Academy; Chair of the South Region; national conference co-host and reviewer of conference abstracts. Research interests include Nancy Vincent McClelland and early female interior decorators, early interior-decoration education, and the Colonial Revival. “Lessons in Diversity: Origins of Interior Decoration Education in the United States, 1870-1930,” Journal of Design History, vol. 42, no. 3, 2017, 2-22. Harwood, Buie, May, Bridget, and Sherman, Curt. Architecture and Interior Design: An Integrated History to the Present, Upper Saddle River, NJ, Prentice Hall, Pearson Education division, 2011. “Dressing and Picturing the Past: Promoting the Colonial Revival in late 19th- and early 20th- Century America,” in Performance, Fashion, and the Modern Interior, Fiona Fisher and Patricia Lara-Betancourt, London, Berg Publishers, 2011. “Nancy Vincent McClelland (1877-1959): Professionalizing Interior Decoration in the Early 20th Century,” Journal of Design History, vol. 21, no. 1, 2008, 59-74. “Progressivism and the Colonial Revival: The Modern Colonial House, 1900-1920.” Winterthur Portfolio, vol. 26, nos. 2/3, 1991, 107-122.